The new Yosta Liverpor 100 TC box Mod 100W is now available for purchase from VapeSourcing. The Yosta Liverpor 100W Mod is the product from brand Yosta. The set looks like the transformer that with the ergonomic design will provide comfortable hand feeling to you. This means that the product is moveable and you can carry the gadget from one place to another. The new Yosta Liverpor 100 TC box Mod 100W supports the long battery. 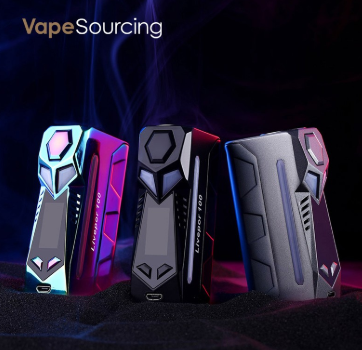 This is because the Yosta Liverpor 100 TC box Mod 100W is a moveable product and you need long battery back-ups to carry the gadget. 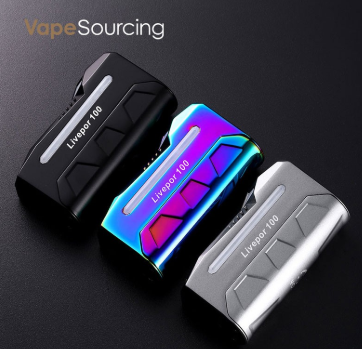 So the battery of the Yosta Liverpor 100 TC box Mod 100W is 21700/20700/18650 and the gadget supports the 100W maximum output. 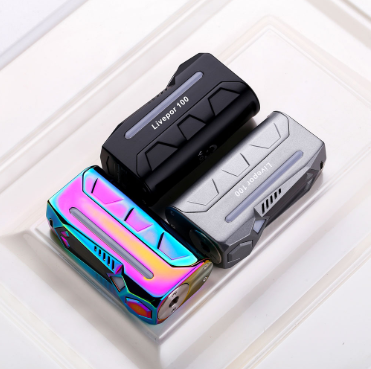 The new Yosta Liverpor 100 TC box Mod 100W comes with the advanced chip or you can say the advanced features (0.01s fast firing speed). Another important thing is that you get a large OLED screen attached which will provide you with the ability to analyze all the data easily on the gadget screen. To choose the one you will need to select an option from 3 colors. Now you can buy the product here at a very low price. Just you need to do is visit the link provided below.